An exciting opportunity for a daytime Saturday/Sunday Vet has become available at a busy Hospital in South Yorkshire. We are looking for a Night Vet to join a busy Hospital in South Yorkshire. You will be working at a stunning hospital site with a number of experienced vets. This is a very busy role so you'll get to see lots of new and exciting cases. You would be working 7 nights on and 14 nights off. This is a full time position, however we will also consider part time applications. There is a competitive salary and great benefits package on offer for this role.  A great opportunity has arisen for a Vet to join a busy practice in South Yorkshire. You will work with a wide and varied case load and benefit from a generous rota to ensure a good work life balance. Your rota will consist of - 40 hour week with no OOH and 1/3 Saturday mornings. A competitive salary and benefits package is on offer for this role. We have an exciting opportunity for a daytime Saturday/Sunday vet required at a Hospital in South Yorkshire. This would suit a candidate who is looking for a good work life balance, excellent salary and regular consistent work patterns. 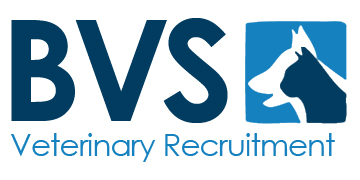 If you would like to know more information about this role, please send your CV to Katherine@bvsvets.co.uk. We have an exciting opportunity for a Vet with excellent communication skills to join a friendly practice in the area of South Yorkshire. you will receive a comprehensive range of benefits this will include a competitive salary. We have an exciting opportunity for a Vet Surgeon to join a supportive team of vets and nurses at a small animal practice in the area of South Yorkshire. This is an immediately available weekend position. You will receive a comprehensive range of benefits that are on offer including a competitive salary. We have a new and exciting opportunity an experienced Vet to join a friendly team of vets and nurse at a practice in the South Yorkshire area. A friendly SA Practice, located near to the city of Sheffield, are looking to recruit a new registered nurse to join their team. It is a full-time position which is comprised of a 40 hour week, minimal weekend work and no OOHs. Competitive salary on offer with CPD and pension scheme included in the package. Our client, based in the city of Sheffield, is looking for an enthusiastic new SA Vet to join their large and supportive vet team on a permanent basis. They are looking for a vet with over 1 years’ experience work full-time at their ever-expanding practice. Great salary on offer with a potential relocation package. It is a 5 day week with rota and shift patterns to be discussed at interview. The practice work to an exceptionally high standard of patient and customer care and expect all staff to meet the required standards.